The mother of a dear friend died and today was her auction. This woman has been one of my mom’s best friends and a part of my life since I was a teen so my, mom, my friend Sandi and I hit the road to show our respects and also to see what there was to find. 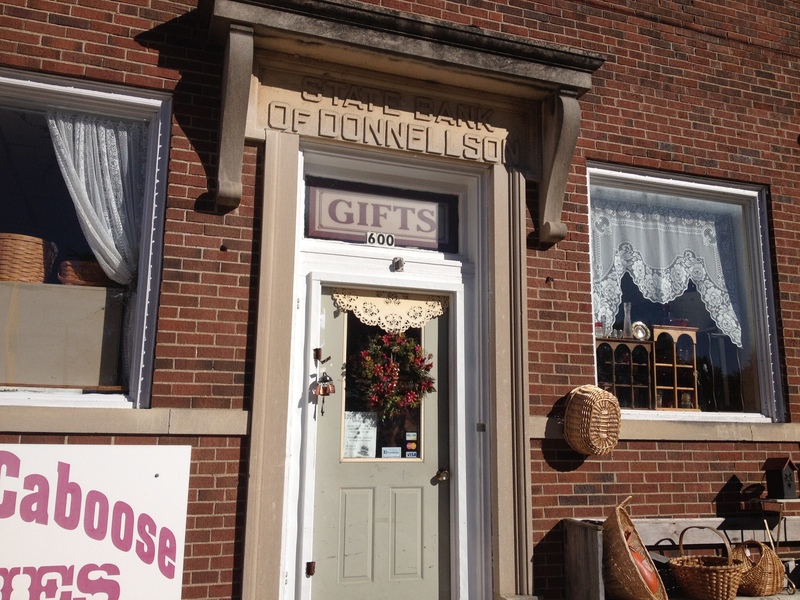 Auctions rank up there like flea markets and festivals as a great way to spend a beautiful Saturday on a sunny fall day. 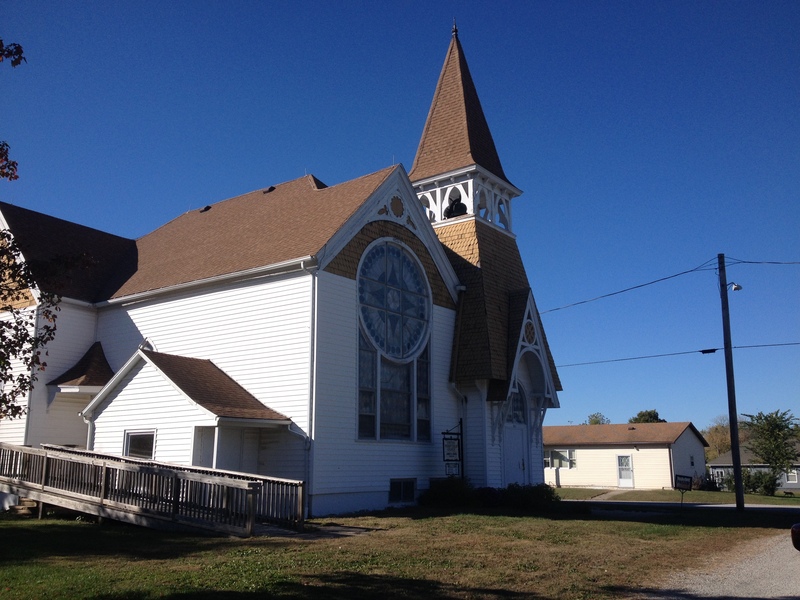 We left before the sun was up and since we were heading south stopped at the best bakery/breakfast places I know in Litchfield, Illinois – Jubelts. If you have never been to Jubelts and you live in central Illinois it is worth the trek for this alone. “I am eating like a farm hand,” was my proclamation about breakfast as we pushed back from the chair and headed out. 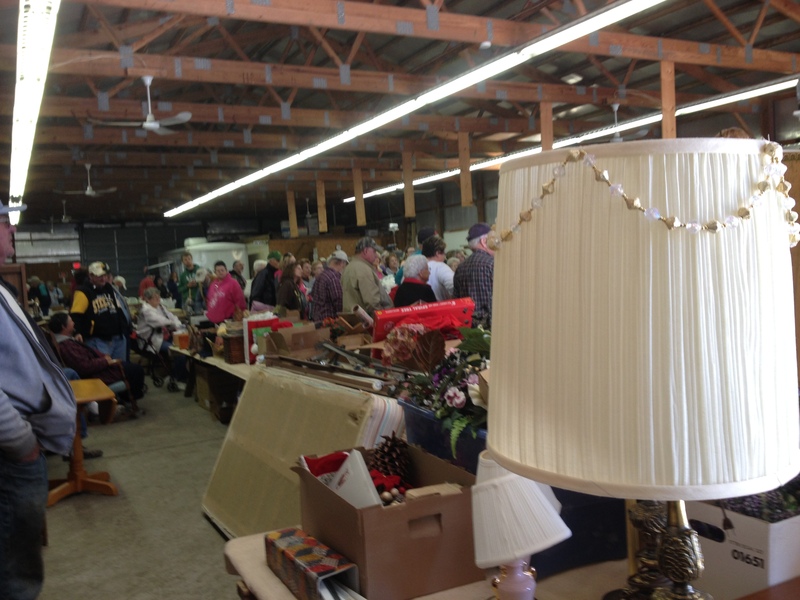 The auction was at the Washington, County fairgrounds and fairly easy to find. 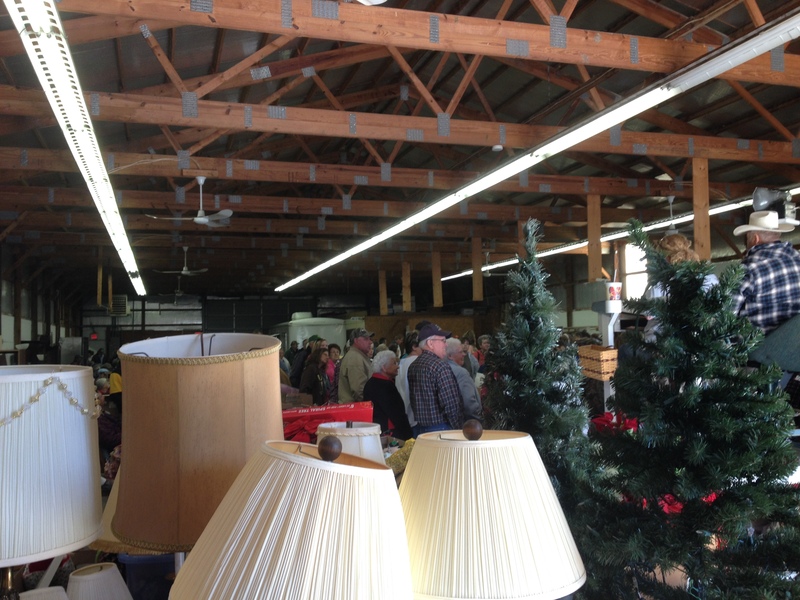 The auction was mostly inside on this brisk morning that topped the temperatures somewhere around 60. Once inside it was balmy and we worked our way from table to table and greeted our friend and her family, many that we had not seen for quite some time. 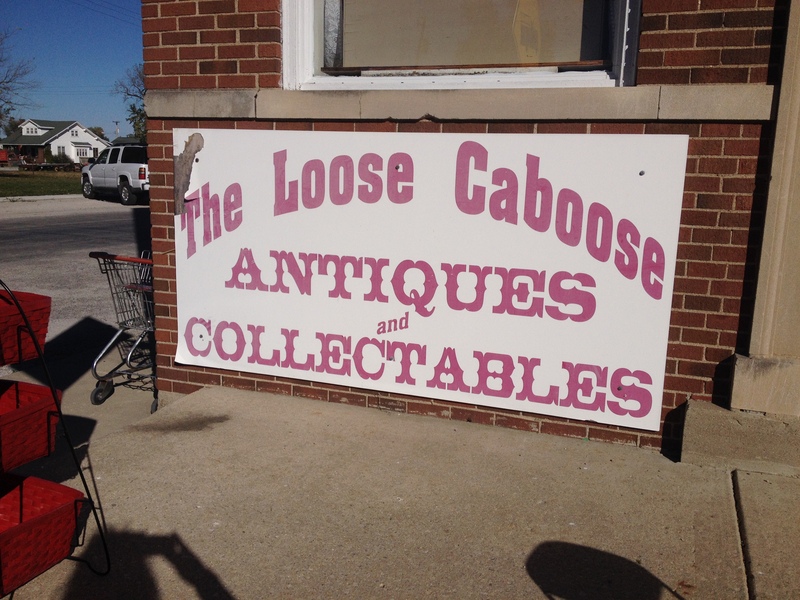 at the Loose Caboose Antique and Collectables and perused the wonderful selection of antiques. Thankfully since the car was full we didn’t add much to our coffers, but we all three deemed this as a lovely place we would like to return to. 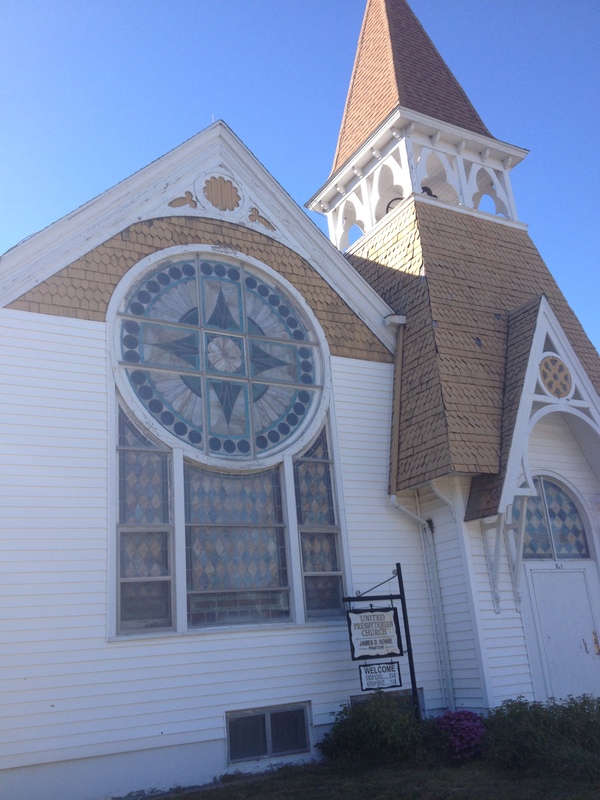 Before heading out of town we spied a beautiful church and stopped to take a look before heading out of town. From here we headed home, unloaded and called it a full day. Next Post: Want a booK, give me some feedback!